Texas death row inmate, Jeffrey Lee Wood. Wood's original execution was set for Aug. 24, 2016. But six days before he was scheduled to die, the Court of Criminal Appeals halted his execution and sent the case back to the original trial court in Kerr County to re-examine whether Dr. James P. Grigson, a psychiatrist who testified in Wood's 1998 murder trial, gave false or misleading statements. After Wood's case was sent back to Kerr County in 2016 following the stay of execution, the state filed a response saying that relief should be denied. The trial court originally determined that there were "no existing controverted, previously unresolved factual issues material to the legality of applicant’s confinement.” After a continuing back and forth with the parole board, the trial court and the Court of Criminal Appeals through 2017 and into 2018, the trial court eventually recommended execution relief be granted to Wood, 45. On Jan. 2, 1996, Wood and Daniel Reneau robbed a Texaco station in Kerrville. Wood was waiting in a truck while Reneau went into the gas station and stole a packed safe, surveillance VCR and other items, according to court documents. Reneau fatally shot 31-year-old store clerk Kris Keeran after he refused to comply with Reneau's threats. Although the court recognized the controversy of Grigson's testimony in court documents, the judges argued that the state had collected enough evidence to determine that Wood would still pose a future threat, referencing a previous armed robbery he Wood and Reneau were involved in, and that the two had plotted more crimes while in jail awaiting trial. "Now that this application is no longer pending, the conviction court can set an execution date, and the Board can properly consider a possible joint request for commutation," Judge David Newell wrote in a concurring opinion. Wood's case has long been controversial because of his minimal role in the crime and because Grigson — nicknamed "Dr. Death" for how he predicted future dangerousness — had not disclosed that he had been expelled from the American Psychiatric Association and the Texas Society of Psychiatric Physicians. Grigson testified that Wood would present a future danger to society if not granted the harshest sentencing. 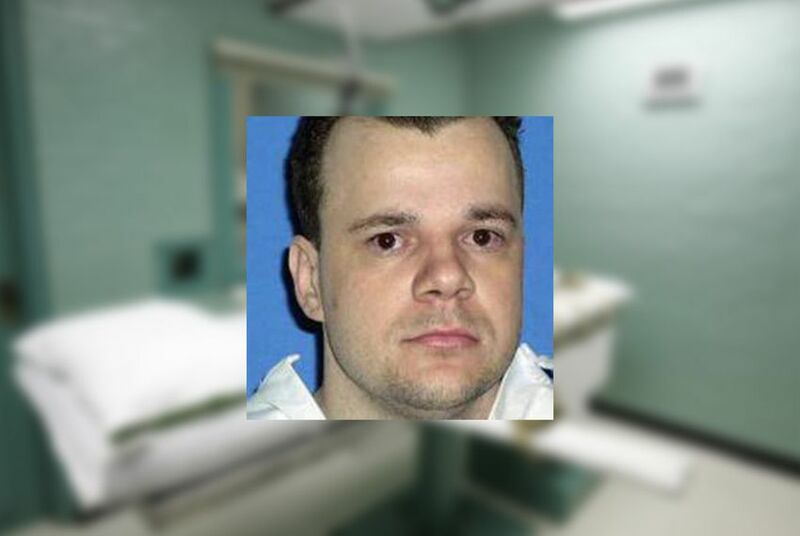 Wood was sentenced to death under Texas’ law of parties, a statute that holds a person criminally responsible for a death even if the individual is not directly involved in the killing. In an August 2017 letter to the Texas Board of Pardons and Parole, Lucy Wilke, the prosecutor in Wood's original trial who sought the death penalty against him, wrote to ask that the board recommend to Gov. Greg Abbott that Wood's sentence be reduced to life in prison. She wrote that she was an early-career attorney at the time of the trial and would not have asked Grigson to testify had she known about his expulsion from the two psychiatric organizations.